Interesting discussing today on Whatsapp. What game you played the most? Unfortunatly Xfire is dead so we only have steam, origin and uplay data available and our magnificent memory. I have 181 hours BF3 and 180 hours BF4. Siege: 333 hours, will I make it to 400 one day? By far the most played is Far Cry 1 which I played 8 years. 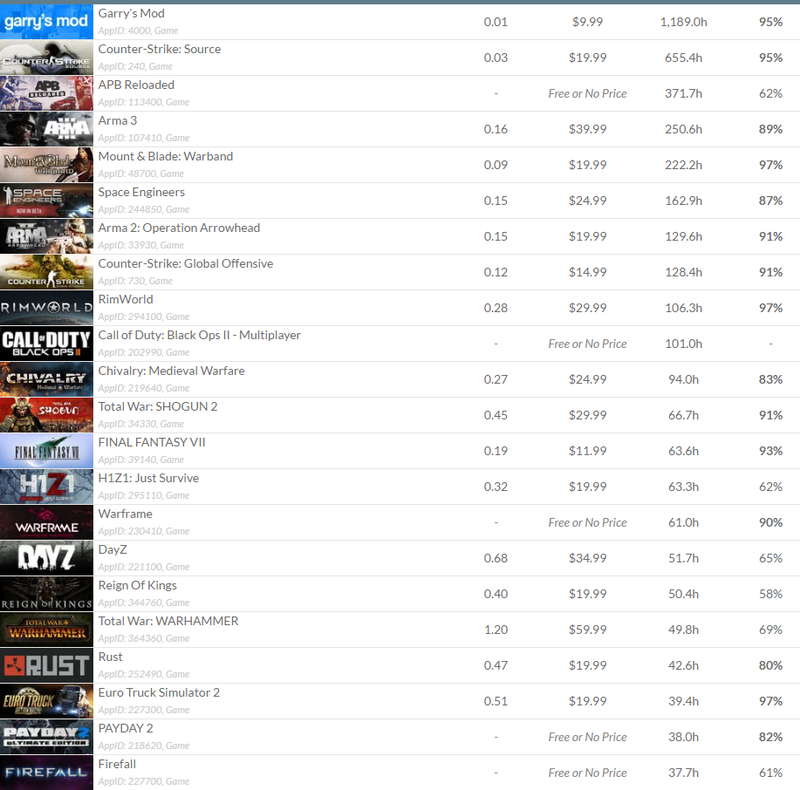 Call of Duty 4 would be second most played or maybe that is Siege. Civilization V with 121 hours is my top game on steam. I have played alot of Fifa and football managers but as these titles on last one year, they won't break records.Although as a serie, it would be in the top. I also had like 15 Nintendo 1 games of which super Mario bross 1 and 3 and punch out. then played on dos some 2d games on a floppy disk. I was to young to remember the titles so I skipped those.